PayPal Payments Advanced is a PCI-compliant solution. Even customers without a PayPal account can make purchases through PayPal’s secure payment gateway using the credit card. Accepted cards include Visa, MasterCard, Switch/Maestro, and Solo credit cards in the United States. PayPal Payments Advanced is available only for merchants in US and Canada. Before you begin, you must configure your PayPal Payments Advanced account on the PayPal website. 1 - Set Transaction Process mode to TEST or LIVE depending on your requirement. In J2Store Paypal advanced plugin settings, you can choose the Payment window type. 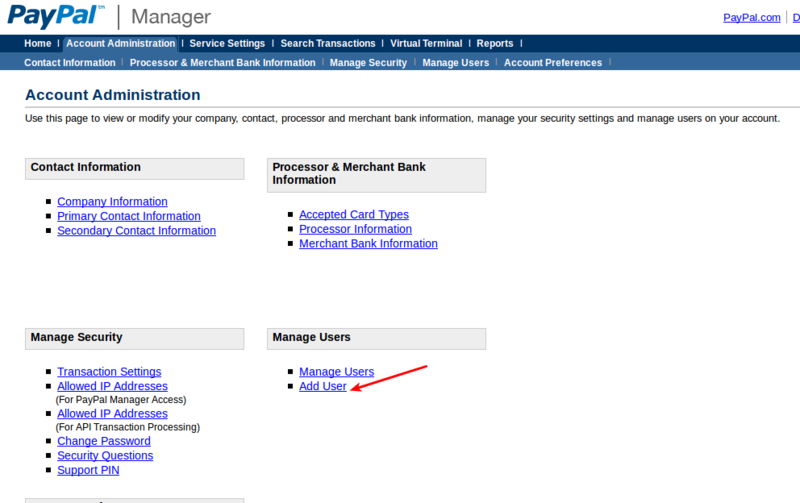 In Paypal manager, go to Service Settings > Hosted Checkout Pages> Customize. Choose the Layout C.
Go to manager.paypal.com and log in to your account. Follow the instructions to set up an additional user. set "Select a Predefined Role:" as "FULL_TRANSACTIONS"
Go to Joomla admin → Extensions → Plugin Manager → Paypal Payments Advanced plugin. The Merchant Login with which you login to Paypal Manager. Your User ID. If you created a new user, then enter that user id here. If not, then this field should carry the same value as the Vendor/Merchant Login. Your password with which you login to Paypal manager. Your PayPal partner ID. By default, it will be PayPal. Set this to YES, only if you have set the Transaction Process Mode to TEST in the Service Settings->Hosted Checkout pages → Set up. When you first start testing you will most likely keep getting response code 126 (at least if you're testing with a credit card) meaning your transaction triggered a fraud filter. This will cause orders to be saved in J2Store as FAILED. This happens because PayPal Manager has AVS fraud protection turned on by default and it will always fail since you're using test credit card numbers. If you want to pass the AVS check and see orders saving as Approved / Confirmed in J2Store, you'll have to temporarily disable AVS fraud filters. To do that click on Service Settings inside your PayPal Manager account. Then click Fraud Protection. When the page load, click on Test Setup. Go to Edit Standard Filters. Uncheck all the checkboxes and hit Deploy at the bottom. While testing, use only the credit card numbers for testing. Other numbers produce an error. Expiration date must be a valid date in the future. If you're getting an authorization error in test mode, try lowering the charge amount.